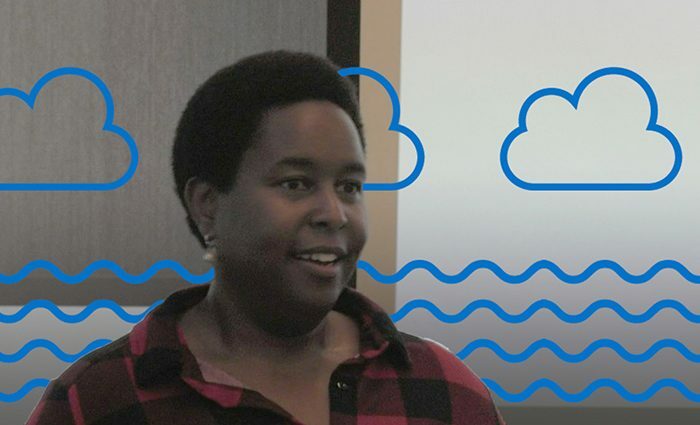 Blog story covering Open Data Day: I wrote the piece and created the header image. 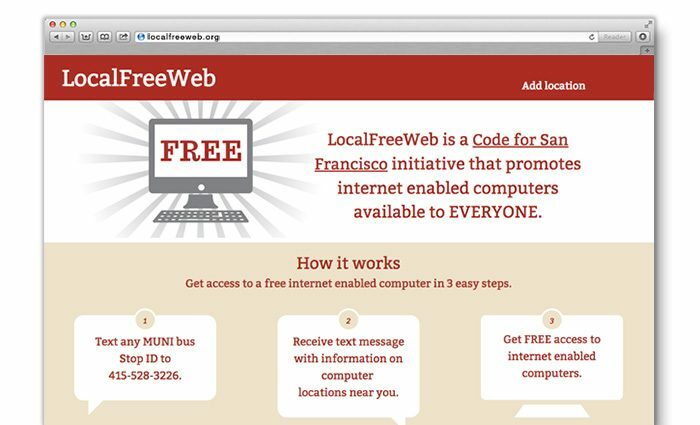 A service designed to help folks with no internet enabled devices to find internet access without needing the web to find a location. How it works: people text a Muni bus stop number to the given number. The locations of the closest free internet enabled computers are texted back. When I joined the project it was a function application but required user UX/UI for the website. Offline marketing materials also needed to be created to explain how to easily use the service. I created a unified online/offline experience. 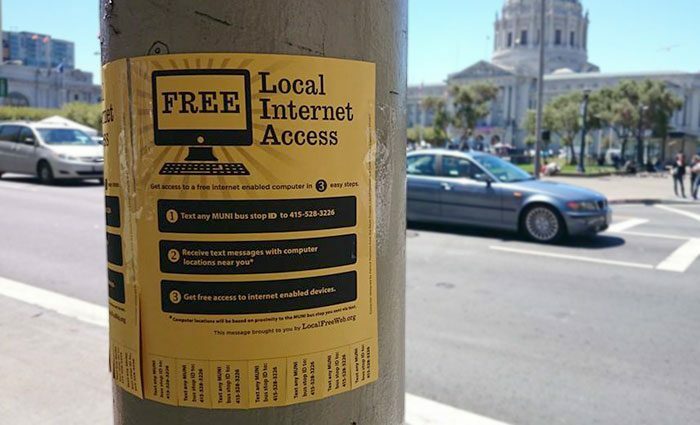 The offline experience uses the time tested guerilla marketing tactic: flyers on phone poles to target folks with no internet enabled computers while they wait for buses. Code for America is a non-profit organization dedicated to using open source technology for the common good. 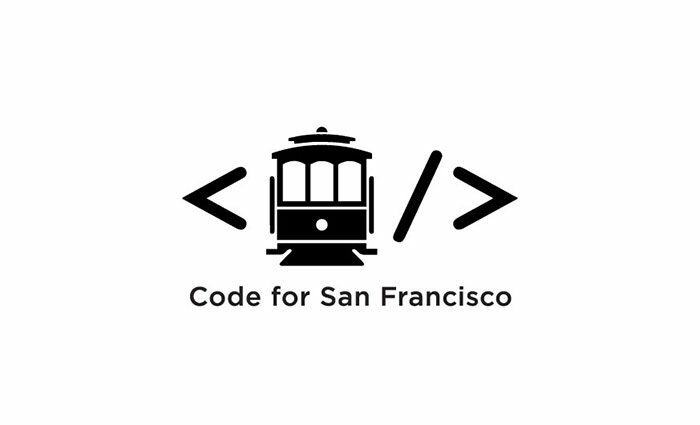 Code for San Francisco is the local volunteer chapter that I volunteer for.